Low creeping plant shiny round leaves and little white flowers is famous for getting out of control. 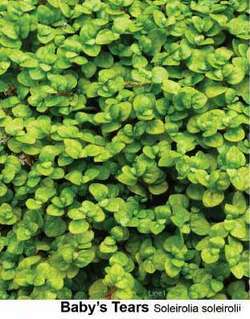 Soleirolia soleirolii is resistant to all weed-killers, meaning it has serious life force. Little is written about it except it’s apparently edible (even for reptile pets) and gardeners hate it.